Samsung officially announced the Galaxy Grand GT-I9080 and Galaxy Grand DUOS GT-I9082. Both devices are expected in the first quarter of 2013. 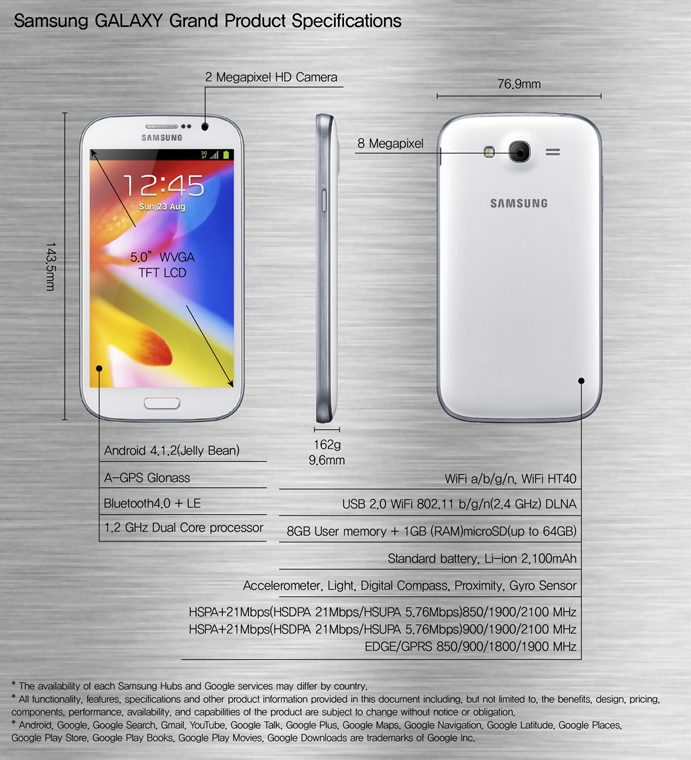 The Samsung Galaxy Grand runs on Android 4.1.2 and uses a 5,0´´ WVGA resolution display a 1.2 Ghz dual-core processor a 8 megapixel camera on the back and a front camera of 2 megapixel. More specifications are: 1GB RAM, Wi-Fi, Bluetooth, GPS, 8GB internal memory with microSD card slot (up to 64GB), HSPA+ and 2100mAh battery. On the software front, it will feature the new TouchWiz UI, S Voice, Multi-Window, AllShare Play, Direct Call, Smart Alert, Popup Play and various Hubs. When you pick up your phone, wouldn’t it be nice if it let you know what has been happening since you’ve been gone? Samsung Galaxy Grand knows you came back and gives you a brief vibrating nudge to inform you about missed calls and new messages. How thoughtful is that? Samsung Galaxy Grand even knows when you want to talk. When you are messaging someone and decide to call instead, simply lift your phone to your ear and Direct call will dial their number for you. No more fumbling through call logs or contacts. Let Samsung Galaxy Grand do the work. Picture-in-picture technology lets you watch an HD video in another window while sending an email or text simultaneously. Drag it to where you want on the screen, and chat with your friends or surf the web. Don’t miss any of the action. 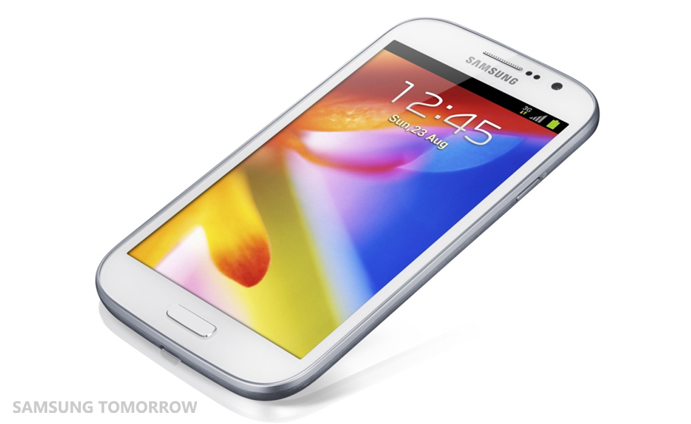 Samsung anuncia el Galaxy Grand con pantalla de 5"
@qwertyedu jellybean has noot been released for galaxy s2. qwertyedu, and what about S2’s yellow tint screen problem and the Exynos brick bug? So it’s basically a better idea to get S3 Mini if you want higher DPI. Are You Forget Galaxy S2 i9100 Jelly Bean Update ??? why are they marketing a mid-end phone as it was a next-gen high-end phone. It’s a way to find news customers but it’s can lose some people in the space of Galaxy family !